Click here to buy the ebook format of Etruria Travel, History and Itineraries in Central Italy from publishers Edizioni Archeoares. Click here to order a copy, signed by the author. Payment with paypal. Cost 12 euro plus postage. During the 35 years that I lived in Rome a succession of English newspapers and magazines provided the international community with information and news. For each of these, in turn, I collaborated as a writer turning out regular articles about art, antiques and lifestyle. In those pre-computer and internet days, I pounded out my articles on a typewriter with carbon paper inserted. Mistakes were corrected with a rubber eraser or whitener before racing into the editorial office by bus or subway to hand in my copy before deadline. Moscow was home during the Perestroika years where, besides being a “trailing wife” in the Italian business community, I scouted out information and cultural news as staff writer for the first Western-style magazine. Members of the international community often thanked me for hints that helped make Moscow life easier: from the location of new restaurants to the best places to purchase paintings, sculptures, detergents and food. 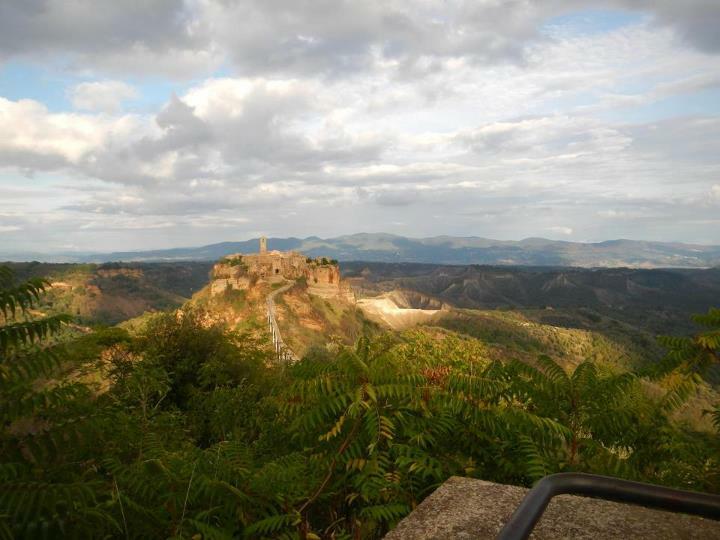 Returning to Italy we traded life in the big city for a calmer lifestyle and larger home in the Viterbo province where we knew there was an abundance of thermal baths, Etruscan sites and local traditions. These beckoned temptingly to be explored and enjoyed but finding them was another matter. Directions and information were as difficult to uncover as they had been in Soviet Russia! As I scoured salvage dealers in surrounding towns for fireplaces and tiles to restore the old palazzo we had purchased, I gathered information and insight. Thanks to local historians and new friends I discovered fascinating stories about the area. 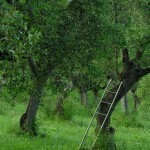 Until recently, the only books that gave attention to this part of central Italy were those specialized in archeology. Most English guidebooks ignored the area completely, leading new residents to believe that “civilization” stopped at the northern Roman suburb of Olgiata. The fourth in a series about this area, Etruria-Travel, History and Itineraries in Central Italy wishes to fill this void by giving new information about a part of Italy still to be discovered by mass tourism. Some of the essays, originally written for local Italian magazines, have been adapted for English language visitors. Others were developed from culture lectures presented to university students and cruise ship audiences. A few stories describing local traditions and festivals have been revised and included to show how little life in Northern Lazio has changed over the years. The essays that narrate the area’s little known international connections and history are the fruit of original research and long hours of digging through archives in Italy, England and Ireland to discover information not found in available guidebooks. Visitors’ enjoyment will be increased when they have a deeper understanding of the area’s background and the people who lived here before us. Inspiration comes from Georgina Masson’s almost anthropologic interest in documenting local customs and life. It is only fitting to follow Masson’s lead because it was her Companion Guide to Rome and a sturdy folding map that helped me make the city of Rome my own when I first arrived in Italy in 1965. 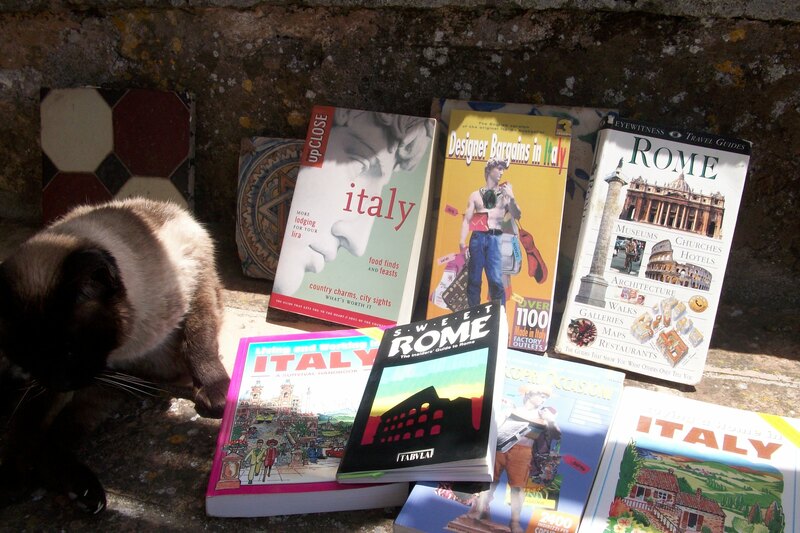 I have a large collection of books about Italy – novels, history, and guidebooks. Some of the guidebooks are like the Michelin with its arid ratings of hotels, restaurants and sights, but by far the most valuable are those that take me on a personal tour. 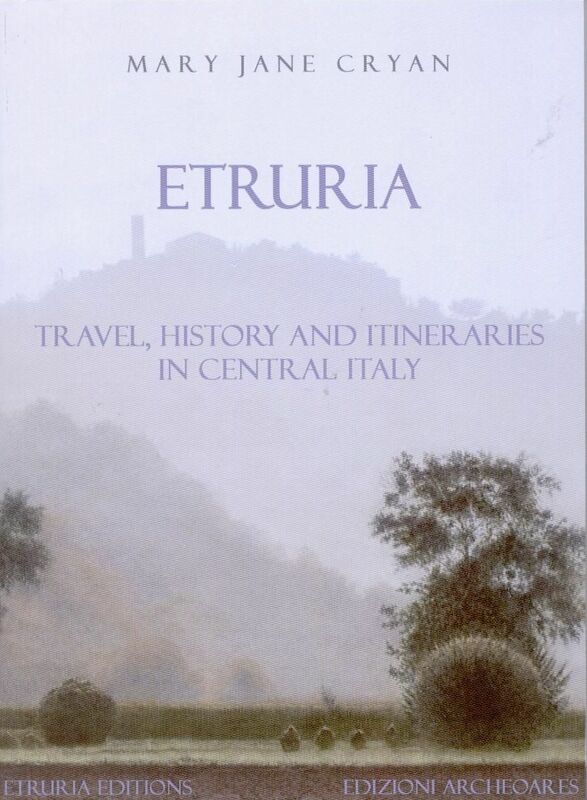 Mary Jane Cryan’s book Etruria, Travel, History and Itineraries in Central Italy, is one such book. Ms Cryan is a long-time resident of Etruria, the area north of Rome where the ancient and long-gone Etruscans centered their civilization before the rise of the Roman Empire. 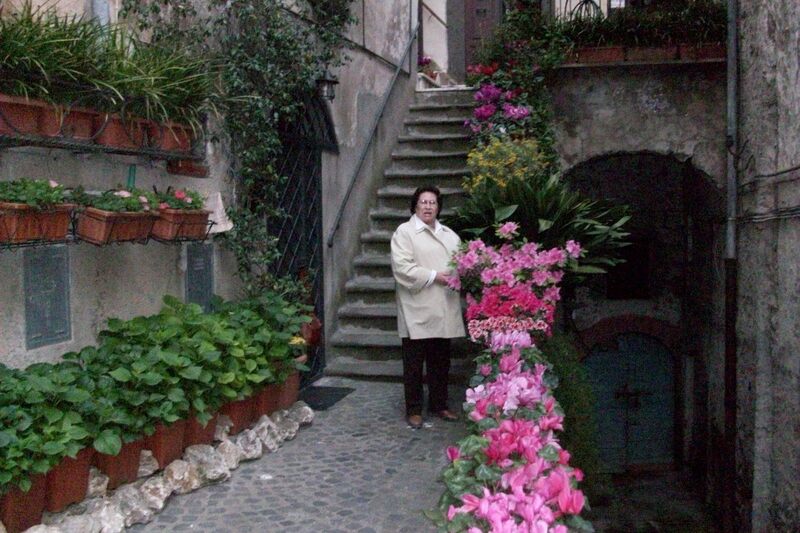 Ms. Cryan is an expert on that particular area of Italy, having written a number of other books including Travels to Tuscany and Northern Lazio based on the 18th Century travel diaries of Cardinal Henry Stuart, Duke of York. 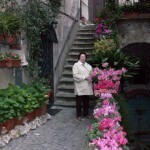 She has also contributed to many travel guides, and frequently lectures on the area. Her book, Etruria, takes the curious traveler, arm-chair and active, to the nooks and crannies of this part of Italy, an area which many tourists neglect. Even after my extensive travels in the area, after reading the book I found that I’ve missed more than I saw. So excited to use the info I read about in Etruria! The writing style in this book was so fun to read, like a journal or letter to a friend with so much info about hidden treasure not mentioned in other travel books! Vetralla, Vetralla? Why Vetralla? The power of the internet offers a wealth of information and knowledge. During my excited planning I found Mary Jane Cryan who lives in Vetralla, so it was through her and her generosity that I found my base camp there.Meeting her subsequently, here was a person of wisdom and a rare infectious spirit (which the internet cannot provide), consummate knowledge of and enthusiasm for Etruria. I am the proud possessor of a signed copy of her latest book- Etruria- Travel, History and Itineraries in Central Italy. Mary Jane Cryan’s book Etruria for me is the sequel to DH Lawrence – they lie side by side on the table; one having stood the test of a hundred years the other surely to do so. The deep and perceptive poet Lawrence lies alongside the rich current enthusiasm of Mary Jane. 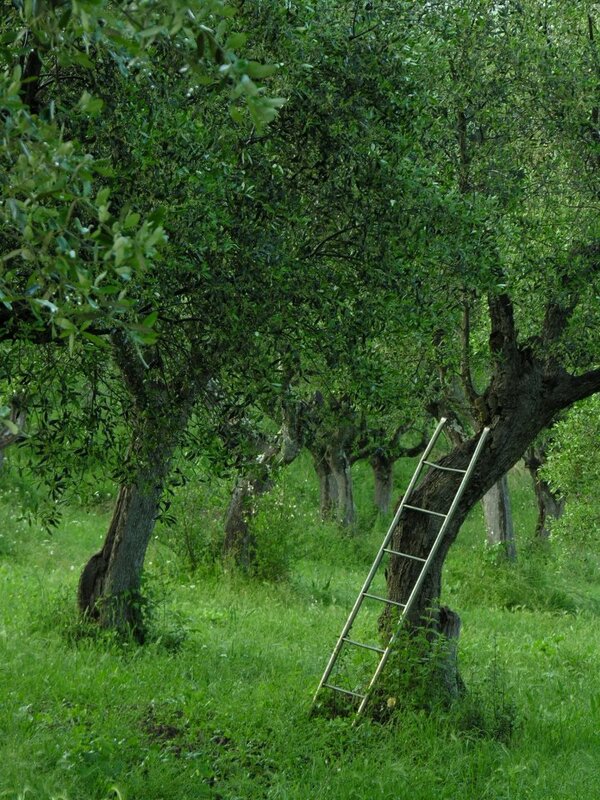 The traveller is able to become connected to permanence and durability. No map or pre planning can prepare for the physical reality of Norchia and other Etruscan sites. The footpath runs across fields, a perfect introduction-cars left behind-now just the wind through the swaying field edge eucalypts, the ochre soil and the bright sun above; and so to the lip of the ravine where the foot worn rock ‘tufo’, is small preparation for the ancient sculptural power below. The steep narrow path cut into the rock soon reveals huge carved hollows cut deep and dark into the tufo. Climbing further down the ancient access way I am swallowed up by the wonder of this place. Discount for bulk orders. The book is now being used as a textbook for several Study Abroad college courses in Italy. In the Tyrrhenian coastal part of Central Italy known as Old Etruria, Mary Jane Cryan is a consummate forager–not for mushrooms (though we who live here find plenty of those), but for places and people in time. 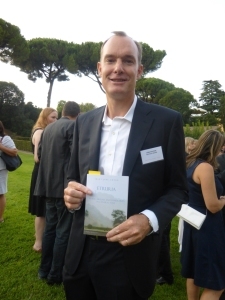 In Cryan’s newest book, Etruria: Travel, History and Itineraries in Central Italy, gardens, castles and fountains hold pride of place. But in addition Cryan, who is a veteran journalist, researcher, lecturer, writer of guidebooks and weaver of historical tales, introduces us to forgotten heros and heroines and a few rotters. I could not resist turning immediately to the chapter entitled Early Americans in Etruria. Who knew that Bernard Berenson had called at the fabulous Palazzo Farnese in Caprarola, an hour north of Rome, while on a scouting mission to purchase masterpieces for Isabella Stewart Gardner? Not all those to whom she introduces us are as well remembered as art dealer and connoisseur Berenson, but they are well worth becoming new acquaintances. At about that same time in the gaslight era when Berenson was snapping up masterpieces for the woman who gave Boston its extraordinary museum, Don Alfonso, heir to the Doria Pamphilj fortunes in Rome and Genoa rented that very palazzo, into which he installed his gorgeous American mistress, Frances Baldwin of Boston. Frances, who was as beautiful as she was scandalous, had caught the princely eye in Rome after she had dumped her estranged husband because he had shot and killed her lover in Monte Carlo. As Cryan informs us, so exotic was all this that Gabriele D’Annunzio, who would never shrink from scandal, gave Frances and her daughter roles in his 1895 novel, Le Vergine delle Rocce. Mary Jane Cryan’s “Etruria – Travel, History, and Itineraries in Central Italy” is written with the deep knowledge of a scholar and the passion of someone who wasn’t born there. Aside from her knowledgeable itineraries in the area of the province of Viterbo, including a good guide to the tombs of Tarquinia, there are elements of this book that are clearly characterized by personal, expat interests: a study of an Irish family (the Denhams), impressions from early Americans who visited the area, and a description of the international residents of the town of Vetralla. Let’s start off by saying that as you know I’m a big fan of Maremma, so in some way I’m writing about my neighbour and Tuscany’s “competition”. Will this book have a strong impact on tourism and cause hoards to descend on Bolsena (population 4000)? No. I hope not. But if you’re looking for some off-the-beaten-track Italy, this area – and this book – is for you. When Nathaniel Hawthorne and his wife Sophia wrote about their trip moving North from Rome in 1858, they did visit Bolsena, and his description has not been taken up by the local APT’s brochure service for good reason. Not to worry though. Malaria is no longer a risk should you wish to visit the Etruscan tombs, hot springs, medieval castles, unusual museums, and impressive gardens that Cryan describes and lists with care in her book. The itineraries she offers are more evocative than practical so you’ll need to mark the locations on a map and find out opening hours before venturing out (a choice that surely gives the book a longer life since opening hours change frequently in Italy… if they are respected at all). One chapter, for example, offers a one-day sampling of the area for cruise-ship passengers disembarking at Civitavecchia (and who choose to eschew Rome’s crowds and shops). An unusual premise, but one that is likely born from Cryan’s experience as a cruise-ship lecturer – she says that about 25% of these tourists do not go in to Rome for the day. Excellent idea to spread them out on the territory. Practical information is provided here about how to procure transportation in order to explore Tarquinia, Tuscania, Viterbo, Vetralla, and maybe Vulci. This seems like a lot for one day, and the material here can surely be used for a more leisurely visit by anyone not about to float back out of Italy. In this, her fourth book in a long series of observations and descriptions of the fascinating and still relatively undiscovered area north of Rome known as “Tuscia” or “Etruria”, Irish-American writer Mary Jane Cryan takes readers on yet another journey revealing new archaeological and artistic treasures, forgotten castles and monuments and surprising historical facts. Cryan introduces us to little-known sites, such as the spectacular Nymphaeum of Orte, which she says “will soon be as well known as the caves under Orvieto”, the recently discovered Sanctuary of Demeter near Vetralla, the abandoned city of Monterano “often used as a set for horror films” and the Abbey of San Giusto at Tuscania, recovered from oblivion thanks to the tenacity and dedication of Mauro Checcoli, a 1964 Olympic gold medallist. Digging into old archives produced forgotten stories about the Irish Denham family, who possessed large tracts of territory in northern Lazio in the 18th-19th century and the St. Patrick’s brigade, Irish volunteers who fought with the papal army against the unification of Italy in 1860, as well as accounts of the pleasure trips taken in the area by Cardinal Henry Stuart, last of the ill-fated Stuart dynasty, ousted from the British throne largely because of their fervid Catholicism. 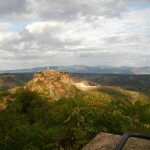 An unusual travel guide to Lazio and southern Tuscany. There are very few guide books to Maremma written in English and so when a new one comes into print I am always keen to delve in and check them out. This one, written by journalist Mary Jane Cryan, is a treasure trove of information. If a previous visit to Maremma and northern Lazio has ignited a desire to return, then this book will surprise you with the treasures you didn’t know you had missed the first time! The book arrived this week–and it is just beautiful. I love the cover and the photographs, but best of all is the opportunity the book offers to explore so many fascinating historical, cultural, and geographical pathways with you. You are an insider who somehow always manages to see with fresh eyes. Probably no Italian could have written it, but neither could it have been accomplished without your many years of looking, asking questions of people, texts, and objects, and openness to your rich surroundings. Brava! Bonne August, Provost at New York University, New York City.